The promoter is Mzansi Memes, entity of Atum Solutions (Pty) Ltd (“the Promoter”). The promotional competition is open to all South African residents over the age of 18 in possession of a valid identity document. This promotional competition is open from 15 December 2017 and ends at 12am (midnight) on 31 December 2017. Any entries received after the closing date will not be considered. 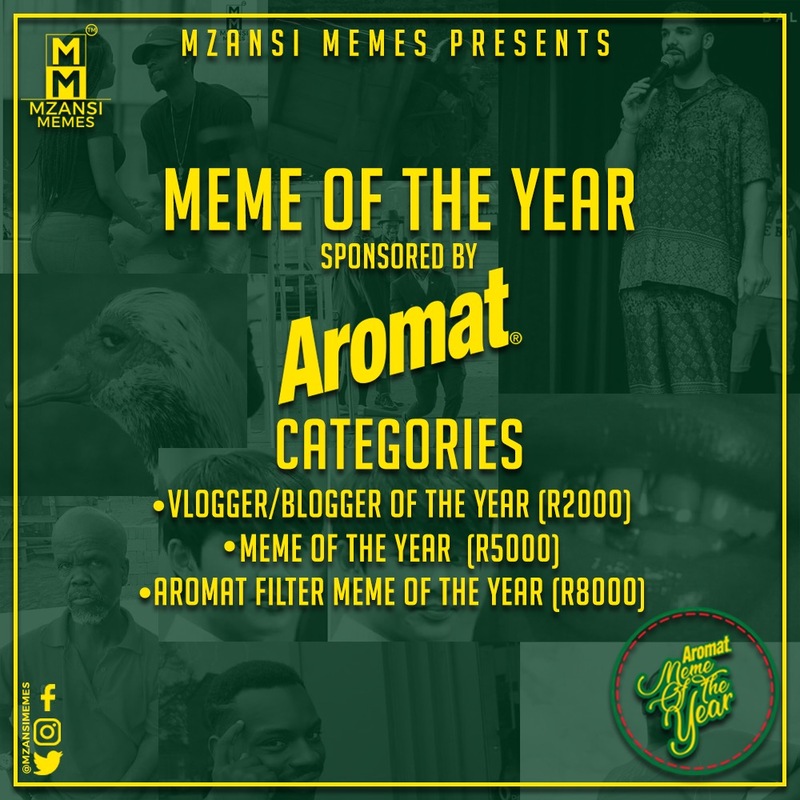 To enter, participants will be required to submit entries via Mzansi Memes Facebook inbox or E-mail: info@MzansiMemes.co.za. Participant may enter as many times as they wish, although quality is encouraged, not quantity. 1 participant will be selected as the winner (‘Winner’) to receive a Prize in each category. Each Winner will be required to provide their name, ID number, copy of their identity document, contact details and to sign an acknowledgment of receipt of the prize. Each Winner will be selected by means of the judging humour and relevance of the submitted entry and some cases, Facebook engagement (likes, comments and shares) reached. Prizes will be transferred directly into the account of the winner once banking details have been sent and verified. Payment of the cash prizes will be made by EFT by the Promoter’s agency, Bamboo Network (“the agency”), into a bank account nominated by each Winner. Each Winner will need to provide the agency with an original letter from their bank on the bank’s letterhead confirming proof of their account details which letter must be stamped by the bank, before any amount will be transferred to them. The Prize is not transferrable. The agency’s print out of the bank transfer will serve as proof of receipt of the prize by each Winner. By agreeing to the T&Cs, the Winner agrees to an Indemnity and Media Release form. A copy of these rules can be found on the following website http://www.mzansimemes.co.za/AromatMemeOfTheYear throughout the duration of the competition. The Promoter reserves the right to use the images taken of the Winner for publicity purposes in any manner they deem fit, without remuneration being made payable to the Winner. However, the Winner has the right to object to these images. Participants warrant that they have full rights to the images, videos and stories that they upload and that the use of the said material shall not constitute a breach of any third party’s copyright or other intellectual property rights. Participants agree that by uploading their “images”, “videos” and/or stories, they grant permission to the Promoter to use the images, videos or stories or any part thereof, in any and all media for promotional / marketing purposes with no consideration payable to the participants. The Promoter shall have the right to change the promotional competition timeline or duration immediately and without notice, if deemed necessary in its opinion and if circumstances arise outside of their control. In the event of such change, all participants agree to waive any rights that they have in respect of this promotional competition and acknowledge that they will have no recourse against the Promoter or its agents.